“I thank God that we came here” was what Hussein Yassin’s coach said after his visit to Special Smiles at the Special Olympics World Winter Games in Korea. Hussein is an athlete with Special Olympics Egypt, and he had been in severe pain from an infected tooth since arriving in Korea. He couldn’t afford to get the tooth removed at home, but at the Games volunteer dentists did it for free. Hussein is just one of over 33,000 athletes who have had life-changing experiences through Special Olympics Egypt, thanks in part to Christmas Records Grant funding.
" 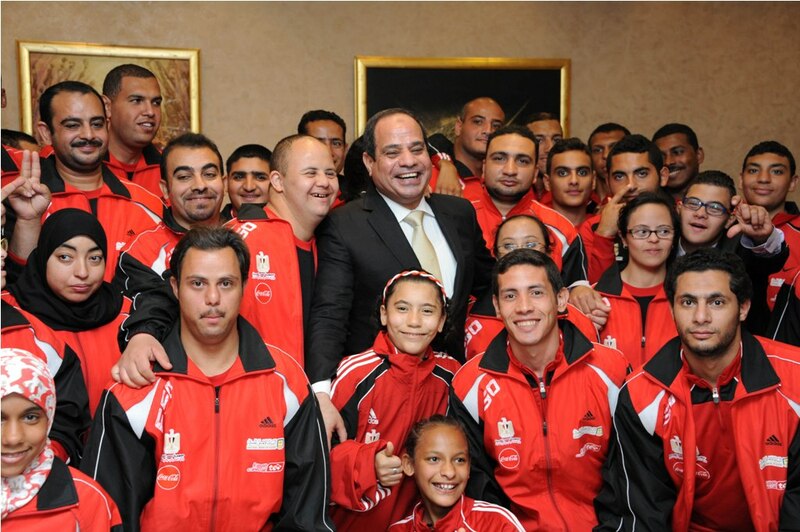 Hussein is just one of over 33,000 athletes who have had life-changing experiences through Special Olympics Egypt." Cairo, the capital of Egypt, was the first Special Olympics “Mega-City” outside of the United States. Special Olympics Egypt received over $500,000 of Christmas Records Grants over four years through this program. In this time, Special Olympics Egypt grew from serving 280 to over 15,000 athletes. Special Olympics Egypt also started an “outstanding” Healthy Athletes program. This program provides free medical services to people with intellectual disabilities. By 2001, Special Olympics Egypt was such a successful Program that it was used as a model for others. Also in 2001, athletes from Egypt competed at the Special Olympics World Winter Games in Alaska. They won 6 medals in snowshoeing even though there is no snow in Egypt—they had practiced in the desert instead! These successes continued after the Mega-City program ended in 2001 and Special Olympics Egypt raised enough money to support itself. However, the revolution in Egypt in 2011 caused economic and political chaos. Special Olympics Egypt applied for a new Christmas Records Grant at this time in order to continue their activities. The Program has received Christmas Records Grants for the last six years and has, amazingly, continued to grow. Despite very hard conditions in Egypt at the moment, Special Olympics Egypt continues to give over 33,000 athletes like Hussein the chance to compete in sports competitions in Egypt and abroad. Holiday gifts that carry deeper meanings!